Ecobank Tanzania officially launched its China Desk in Tanzania at a dinner event held in Dar es Salaam. During the event which attracted over 100 Chinese investors in Tanzania including officials of the Chinese Chamber of Commerce , the bank also formally launched the direct trading of the Chinese currency (RMB) in Tanzania bundled with the settlement of payments through the Bank of China. “The Ecobank Group’s strategic partnership with the Bank of China is aimed at supporting Sino-African trade and investment which is growing in leaps and bounds. With bilateral trade between Tanzania and China hitting $ 2.5 billion last year, it is little wonder that Tanzania was the first African country to be visited by the Chinese President, Xi Jinping, since he assumed the presidency. As trade between China and Tanzania is projected to grow at more than 15% annually, it is expedient for us to have a dedicated China desk in Tanzania, similar to what we have been doing in other African countries.,” says Mr. Enoch Osei–Safo, the Ecobank Tanzania Managing Director. Chinese investment in Africa sky-rocketed from $900 million in 2000 to $68 billion in 2010 aided by its ‘ChinaAfrica” policy – trading with Africa without any conditions. “There is no stopping Chinese foreign direct investment into Africa. Our Beijing Rep office is constantly inundated with enquiries from potential and existing Chinese investors about business opportunities in Africa. With Tanzania ticking all the boxes, it is not surprising to see that it is on the radar of many Chinese investors. This is why we are working closely with our Tanzanian operation to help fulfil their ambition” says Mrs Monica Xiaoning Lu, the Chief Representative of the Ecobank Beijing Rep Office in China. For the foreseeable future, China is and would continue to be a leading trade partner of Tanzania as well as source of foreign direct investment. During his recent visit, President Xi Jinping, signed a series of infrastructure deals worth USD 800 million with the Tanzanian government to support the part-funding and development of a new port at Bagamoyo. Elsewhere, Mr Zhou Yi, the owner of Hengxu Group of Companies with headquarters in Sichual Province of China revealed plans to invest about $700 million in the building of luxurious accommodation facilities at Tanzania’s Serengeti National Park. “For potential investors like Mr Yi, our value proposition is simple – we seamlessly provide a one-stop shop for market information, advisory services, financing options, remittances and now the proverbial icing on the cake – direct trading of the Chinese currency (RMB) with payment settlement option. 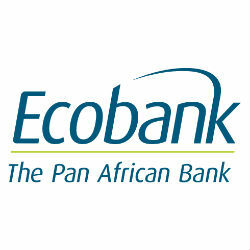 This is in keeping with the spirit of Ecobank Inatuwezesha” adds Mr. Enoch Osei –Safo.